Duluth, Ga, November 9, 2018 (Press Release) – Earlier this month, the Sales & Marketing Council of the Greater Atlanta Home Builders Association (GAHBA) recognized the outstanding achievements of some of the city’s boldest and brightest builders, renovators, designers, marketing experts and sales professionals with the 2018 OBIE Awards. First launched in 1980 and named after the obelisk shape of the actual award presented, the OBIEs are considered a premier award in the new home construction industry. 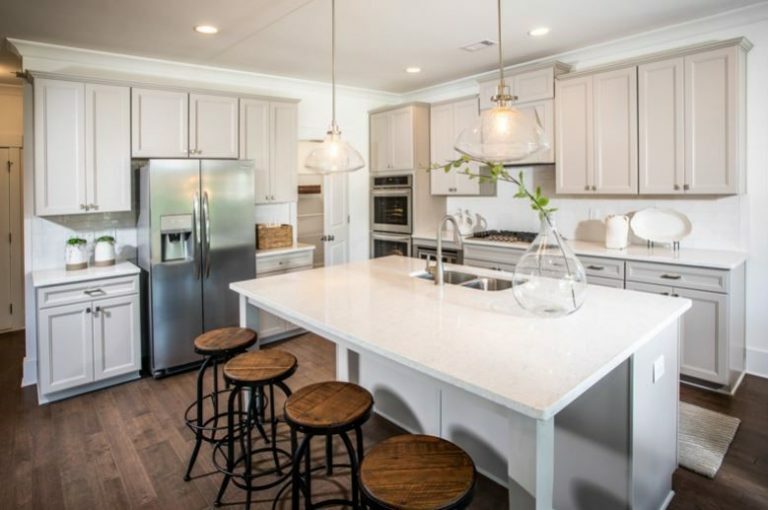 Metro Atlanta-based Paran Homes was proud to be honored this year with an OBIE for Best Interior Merchandising of its model home at Chestnut Farms – a single-family home community in Kennesaw that will showcase 36 stunning new homes priced from the low $400s-$600s upon completion. Designed by interior decorator, Tracy Cook of Design, Etc., the home that garnered Paran Homes an OBIE Award offers a “vintage meets modern” appeal. 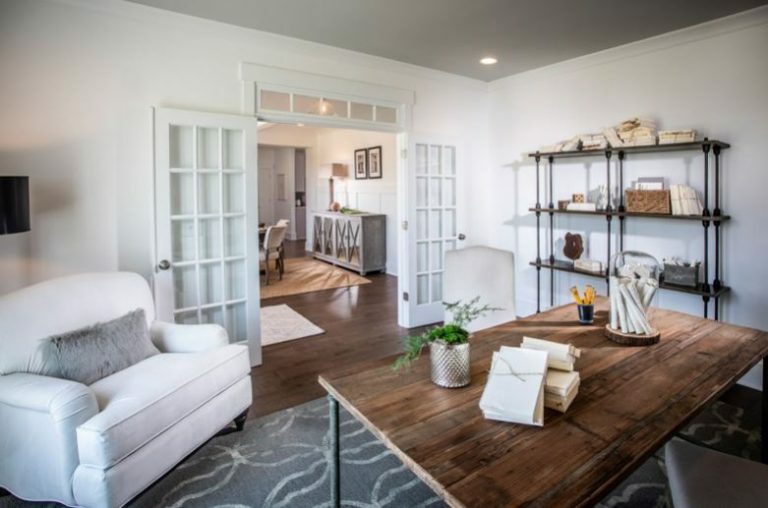 The overall design features elements of white on white and soft hues juxtaposed against dark wood floors, textured upholstery and dramatic accent pieces. It also showcases distressed wood pieces, antique elements and thoroughly current upholstered furnishings. While all of the rooms are memorable, the most extraordinary spaces that likely caught the eye of OBIE judges include the stylish dining room, home office with partners desk and reclaimed shutter as an eye-catching wall accent, serene master suite, and welcoming outdoor living space. Tasked with appealing to a target audience of active families with children – likely drawn to the area by the abundance of recreational outlets and highly revered school system, as well as empty nesters at the other end of the spectrum, Cook drew inspiration from the home itself when planning her design by taking advantage of the home’s natural light which serves as an inviting, happy backdrop. With the lofty goal of creating the ideal representation of what every busy person wants in their own lives – a clutter-free, tranquil, joyful space to raise a family, she succeeded in keeping the look and feel of the home fresh, clean and uncluttered. She also endeavored to make the design as functional as it is fetching with a homework station in the media room and drop station near the garage for family members to drop their book bags, laptop bags and purses while charging their smartphones for the next day. 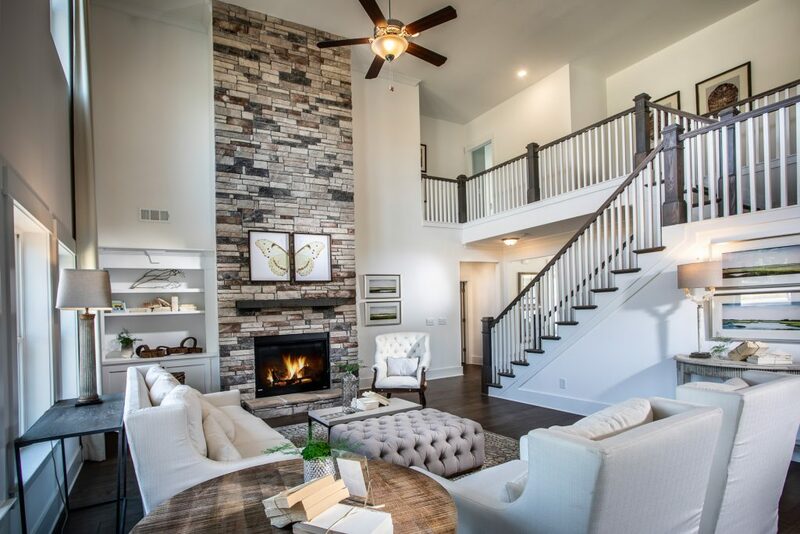 Paran Homes’ award-winning model home is open to the public at Chestnut Farms Monday-Saturday from 10am-6pm and on Sunday from 1-6pm. GPS users who wish to visit Chestnut Farms, the address of the model home is 825 Mars Hill Road in Kennesaw. Prospective home buyers and real estate professionals who wish to learn more about Chestnut Farms and other Paran Homes communities throughout Metro Atlanta are encouraged to visit www.paranhomes.com.